Arsenal may be out of Premier League title calculations, but the team’s recent return to form may still lead somewhere. The Gunners have stormed back into the picture for a top four finish and a place in next year’s Champions League. And silverware is still on the cards, with the Europe League quarter-final second leg coming up. So where do Arsenal stand in terms of Premier League and Europa League betting odds? And what do the Gunners need to do to reward punters who have placed their hard-earned on a successful end to the season? We take a deep dive into the numbers. 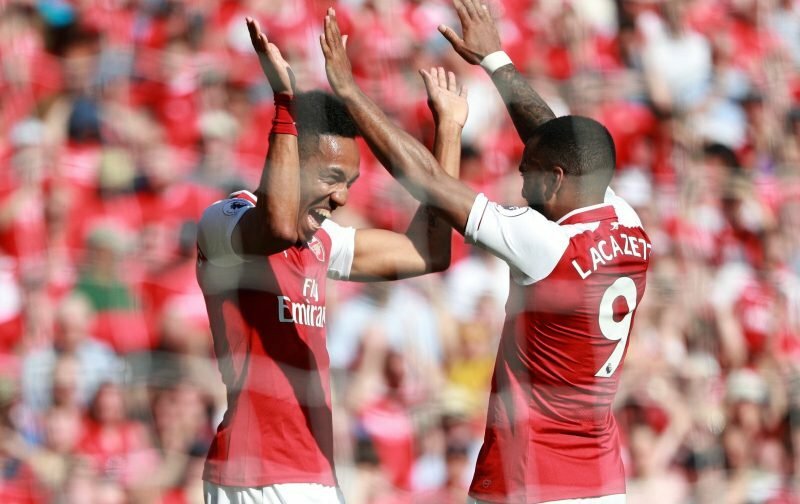 A top-four finish looked all but impossible a few weeks ago, but five wins and a draw from their six league games before a defeat at Everton have put Arsenal in the box seat from a football betting perspective. At time of writing, the Gunners were on 63 points, four points behind Spurs, three behind Chelsea and one behind Man United. Only two out of the four teams currently placed third to sixth can qualify for next year’s Champions League. But Arsenal have one massive advantage in the battle for the top four: they have a game in hand over all their rivals, putting them in pole position for Europe. Bookies and punters seem to agree, with Arsenal and Tottenham the favourites to make Europe while Chelsea and Manchester United are expected to miss the top four. According to bet365, Arsenal is a 4/9 chance to finish in the top four and make the 2019-20 UEFA Champions League. Arsenal have scored 23 goals and conceded only 8 in its last 12 matches in all competitions, and this good run of form has seen the team firm in Europa League betting. Gunners fans are already counting down the days to the second leg of the Europa League quarter-final against Napoli on April 18. Napoli are no slouches, as the Europa League betting odds and Serie A table both indicate. They are currently placed second in the Italian league, and were second in Europa League betting odds, just ahead of Arsenal and behind Chelsea. Fans can find free bets for the match and get on Arsenal for the Europa League title at juicy 9/2 odds. What Needs to Go Right for Arsenal to Succeed? Arsenal has been near-invincible at Emirates Stadium this season, having not lost at home since the opening day of the Premier League season against Manchester City. For the Gunners to progress in the Europa League, they had to win the first leg against Napoli, preferably by at least a two-goal margin and without conceding any goals – which is exactly what they did. In the Premier League, the Gunners only have two home games left – against Crystal Palace on April 21 and Brighton on May 4. They absolutely must secure all six points in those games and find a way to perform better away from home than they have for most of this season. Aside from that, it’s clear the attacking style unleashed by Unai Emery must continue. Pierre Emerick Aubameyang is still in contention for the EPL golden boot, trailing Man City’s Sergio Aguero by just two goals. If he and Alexandre Lacazette can keep scoring, it will go a long way to ensuring the Gunners finish top four in the Premier League and give the Europa League title a decent shake.